Lechenaultia heteromera from the family Goodeniaceae, is largely known from the Fitzgerald River National Park (200 km or 125 miles west of Esperance), with other collections a little east of Hopetoun (on the coast south of Ravensthorpe), which I would normally consider outside my limitations of the Esperance region. 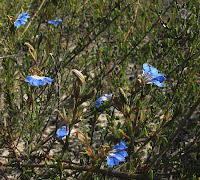 However, the above (probably the current most easterly record) was photographed in recently burnt bushland, 13 km (8 miles) west of Oldfield River and either side of Middle Road, a little under 1 km west of Bedford Harbour Road, where common and widespread. 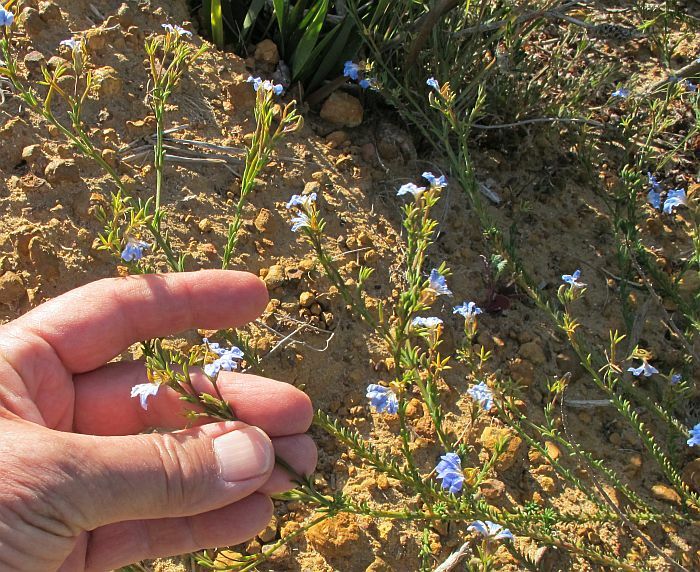 Like many Goodeniaceae plants, they need a fire to encourage seed germination, so many of these species are not seen unless the right conditions eventuate. 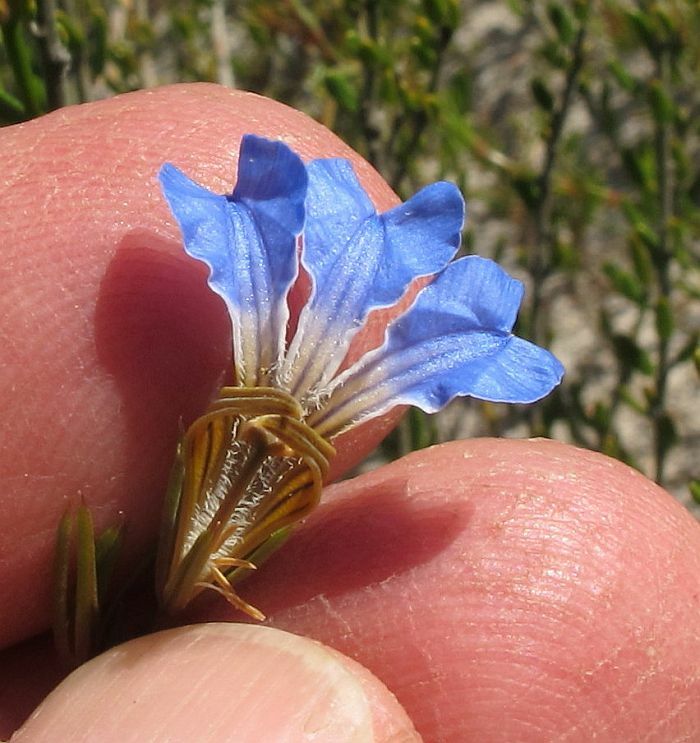 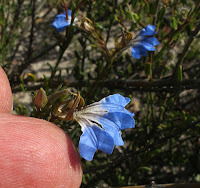 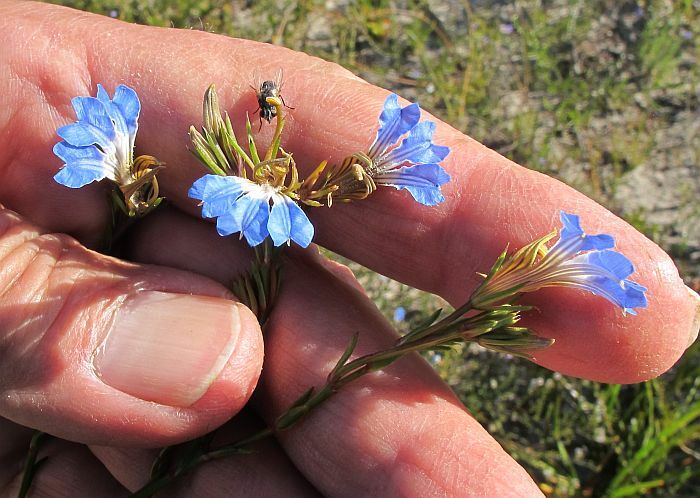 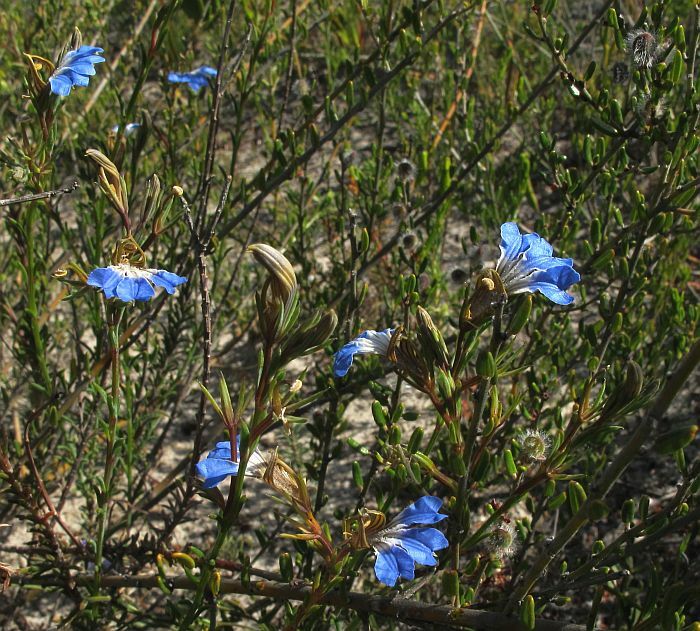 A difference between the above plants when compared to the Fitzgerald River location is the flower color, which in this colony is a darker blue that was consistent with hundreds of plants seen. 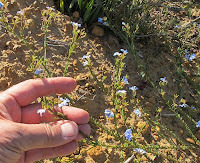 This variation may be due to the soils involved, which further west are listed as deep white sand, but here are a sandy loam over gravel that would provide greater nutrition. 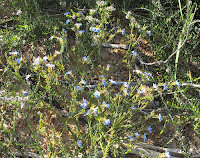 The plants were to ½ metre (20”) in height with an open structure, only noticeable by the attractive blue/white flowers. 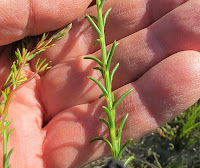 The leaves to less than 9 mm (3/8”), are quite distinctive when compared to other local species, by being uncrowded and evenly spread over the branches. 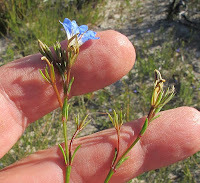 They are also fleshy and sometimes curved. 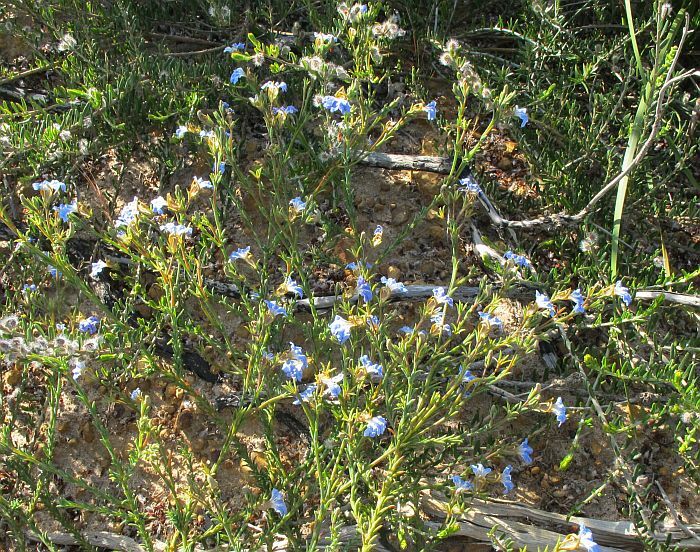 The flowers are recorded blooming from August to December.